Jeepers It’s January Giveaway Hop! 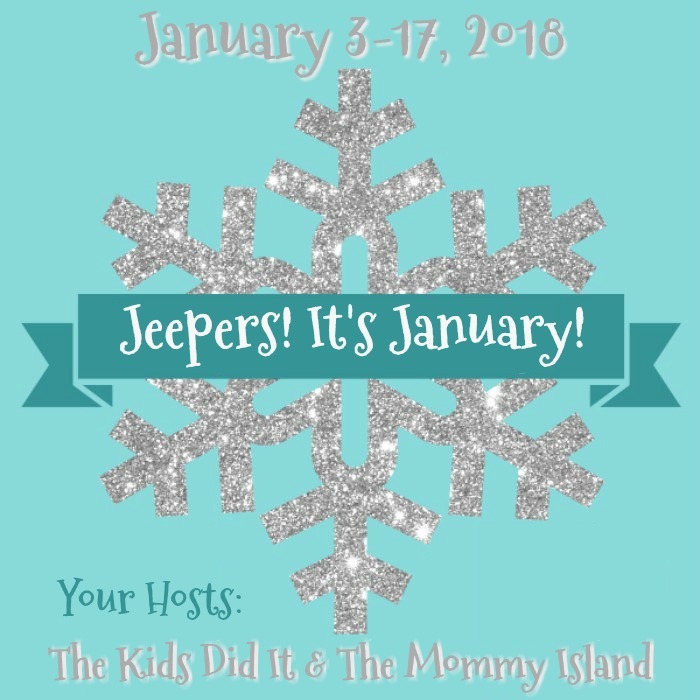 Welcome to the Jeepers It’s January Giveaway Hop! 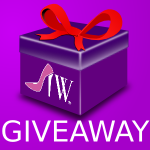 Imperfect Women is excited to be participating in this Jeepers It’s January Giveaway Hop!!! We are pleased to be giving away $25 eTarget Gift Card or $25 PayPal Cash! . 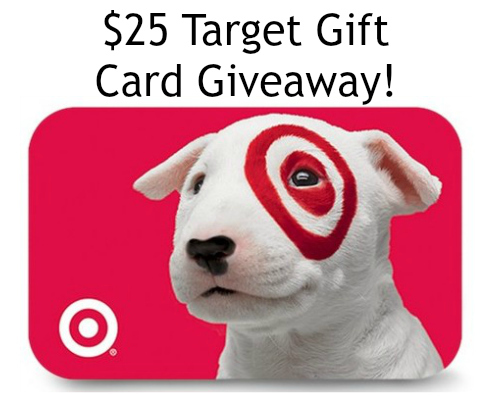 Enter to win $25 Target eGift Card or $25 PayPal Cash (US dollar)! Check out all of Imperfect Women’s Awesome Giveaways Here. Disclosure: Imperfect Women was not compensated for this post. We are not associated with any of the companies named above. No purchase is necessary to enter. The odds of winning are based on the number of entries received. Open Worldwide. Imperfect Women will be responsible for product shipment to winner(s) of this giveaway. This event is in no way administered, sponsored, or endorsed by, or associated with, Facebook and/or Twitter, Google, Pinterest. This disclosure is done in accordance with the Federal Trade Commission 10 CFR, Part 255 Guides Concerning the Use of Endorsements. Entrants must only enter with either one email address, IP address and/or Facebook account, anyone found violating these rules will be disqualified. It is at the sole discretion of the admin of the giveaway if the winner has met the rules or not. *Hosts & participating hop bloggers are not responsible for sponsors or self-sponsoring bloggers that do not fulfill prize obligations. Jill Shalvis ~ Once In A Lifetime/Kindle Fire Giveaway! The Mrs. $50K Cash #YouToldMe Mother's Day Contest! I’m excited to move into my new house next month! I’m excited for our beach vacation in the summer of 2018! I am really excited to run a marathon in October. I have already registered! I am excited about working on this 16 year old huge home I bought that needs tons of work. I’m excited that I’m hoping to be moving back to my hometown this year after 20 years away. I am looking forward to going to NY to see our baby grandson! I am looking forward to a big trip this summer. I’m excited for hubby and I. We’ve been empty nesters for over a year and we decided it’s time to work on us! I am excited to spend more time with my son who recently graduated college! Thanks for the giveaway! I’m excited to return to school as an adult! I am excited for a new start and for the warm weather to come back. New Year’s Eve was the coldest in recorded history for Chicagoland. I’m excited to get my TBR down some. I’m excited for our Alaskan cruise this Summer. I am looking forwards to a change in job this year – I’m thinking of going to secretarial school and finding a 9 – 5 job in the real world. It is a New Year! 2018 watch out! What are you excited about for this year? Looking forward to a family reunion. I am looking forward making some changes this year especially work. i’m looking forward to some new experiences/adventures this year. I’m excited to go to Disney! I’m excited for my grandson to come and spend the summer with us! I am excited for my upcoming vacation in 2018. I am excited for baby #3’s arrival in April!! He is our first little boy and we are so excited to meet him! This year I’m excited to get my farm going. I plan to plant a large garden and get chickens for eggs. I’m excited for my daughter’s wedding in July! I can’t wait! In 2018, I’m looking forward to seeing more of my family. I’m excited for a New Year full of fun with family and friends. We have fun with our grandkids and fun riding bikes with our friends. Im excited to go on vacation for the first time in years. I’m excited to hopefully travel more this year! I am excited to take a beach vacation this summer. We will be doing some travelling this year that I’m looking forward to. My daughter and I are going to Cancun for a few days in April. Enjoying the sun, lounging by the pool, going out for dinner, experiencing the culture… it’s gonna be a really nice break from everything. I’m excited about our new grandbaby who is on the way! Can’t wait! i am excited to finally take our first childfree vacation with my husband, this summer! we’ve been married 9 years! I’m excited for a fresh start! I just bought a house so I’m excited to make new memories here. I don’t really know what I’m excited about this year. Right now I’m too cold to think about the whole year, lol I just want to be warm and then I’ll be able to think better I hope. I am excited for a new year and new expectations that will come along!!! I’m excited to spend more time with my family. I am excited to meet the new babies joining my family in 2018. I’m excited for our family reunion in July. We have family coming we haven’t seen in a long while. I’m excited for a better year. I am excited that my oldest granddaughter is going to graduate high school and we are going to visit her in the state she lives. I’m also excited for our 6th grandchild. I am excited for new beginnings and spending time with my family. I am excited about meeting new people in our homeschool network! I’m excited for my job promotion later this year! I’m excited about making new memories! I am excited to see my son graduate from college. I am most excited to get winter over with and enjoy summer and a family vacation with my children and grandchildren. I am excited about getting healthier and staying fit this year….and hopefully starting a new online business. I am excited about spending more time with my family. I am looking forward to my working on the yard. I am just hoping for more time off to relax this year! I’m trying to find myself this year. I really lost myself completely after my daughter’s suicide the end of 2015. I’m not sure how successful I’ll be, but I’m trying. I am excited that my grandson will start Kindergarten this year but at the same time, I’m sad that his Aunt won’t be here to see it. I’m excited that my son will be starting high school this year. Being that it’s the middle of winter…I’m ready for summer!